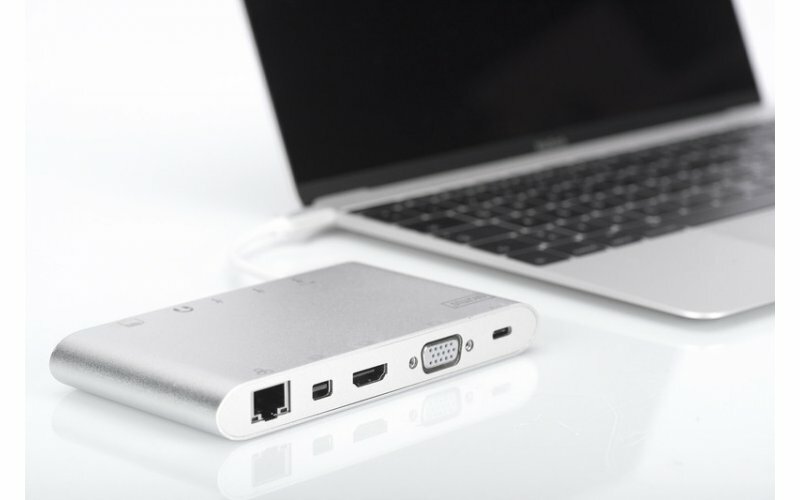 The fully functional universal docking station, USB type C from Digitus offers you everything to create a fully equipped workspace. 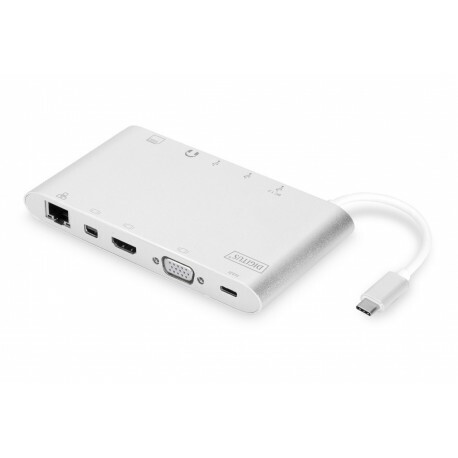 It offers three video interfaces (HDMI, MiniDP, VGA), where two monitors can be operated at the same time. Thus, the best possible supported resolution is achieved: Brilliant UHD (4K2K/30Hz). 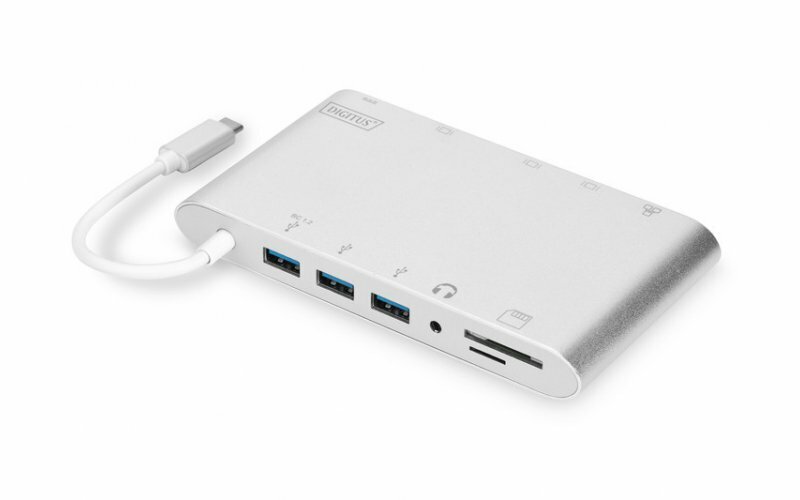 In addition, it offers three USB 3.0 ports, where one port (5V/1.5A) also provides a charging function for mobile devices. 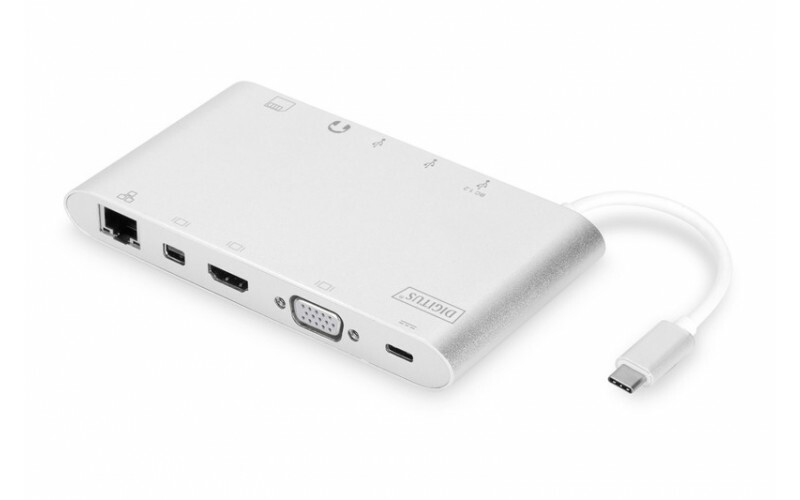 The USB interfaces are supplemented by a USB-C with power delivery (PD) functionality. Two card readers are also built in (MicroSD, SDHC, SDXC/MMC). 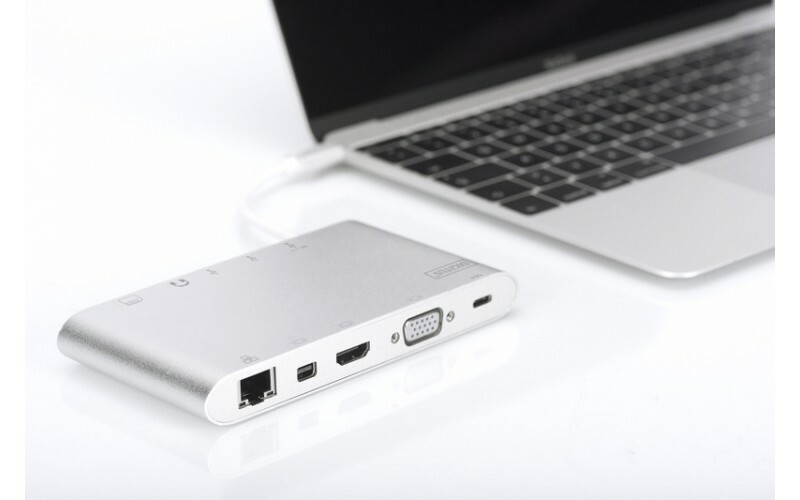 Your notebook can also be connected to your network via cable over the Gigabit Ethernet port. We top everything off with a stereo audio port. Extend your notebook to 11 additional ports using only one USB-C port - with the multifunctional Universal Docking Station USB Type C.